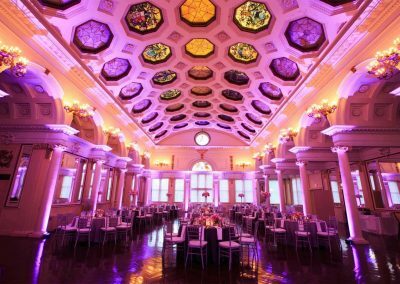 When you want your wedding or reception venue to look its very best, consider augmenting the already beautiful architectural interest of the hall with wireless uplighting. 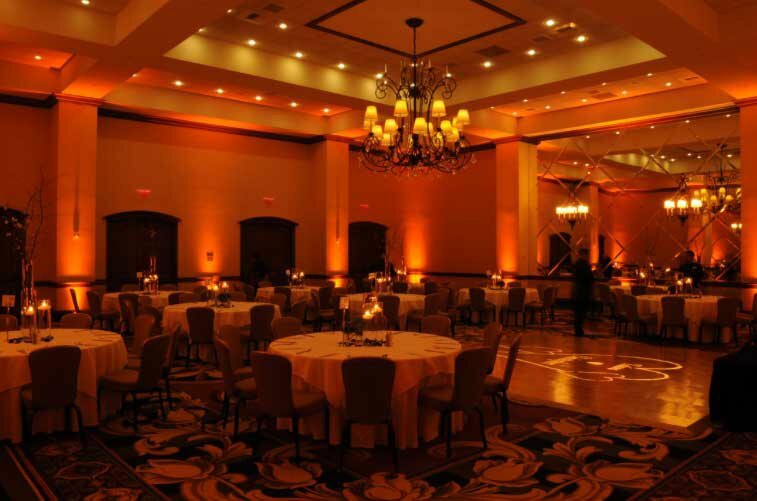 FM Event Productions provides everything you need to create an inviting glow to illuminate your reception location without harsh glares or garish colors. 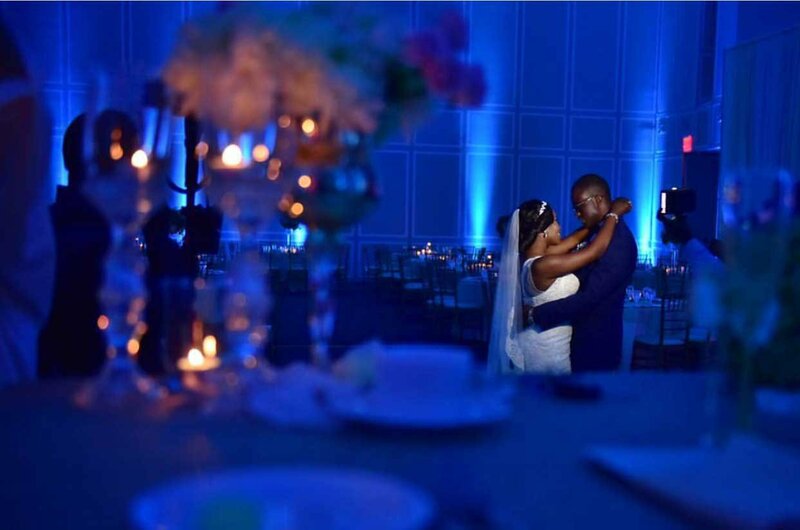 We have the most powerful uplighting to create the ambiance you truly want for your marriage celebration. Our expert teams set everything up before the reception party starts, and make sure the flattering, romantic, and fun illumination works as intended all night long. 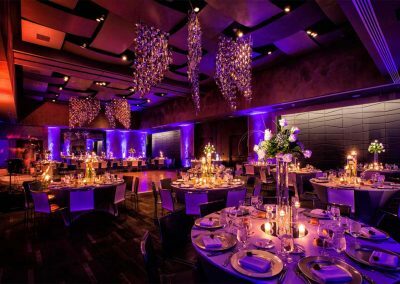 Uplighting can create a warm glow to augment the existing lighting in a room or a cool party atmosphere that matches your wedding colors or more. 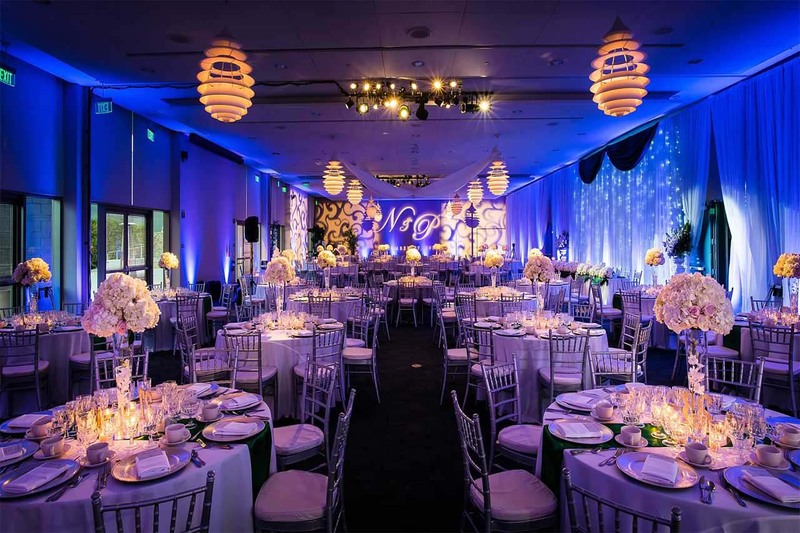 Each unit creates a diffuse beam of light to give a glow to pillars, the floral arrangements, and special locations like the wedding party table, cake table, and even the DJ stand. 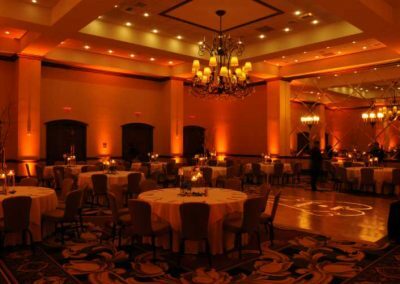 This special type of event lighting consists of multiple units ranged around the floor of the room next to the wall. They are completely wireless, so you do not have to worry about finding enough outlets to plug them in. They are unobtrusive and can be set up out of the way of traffic areas. 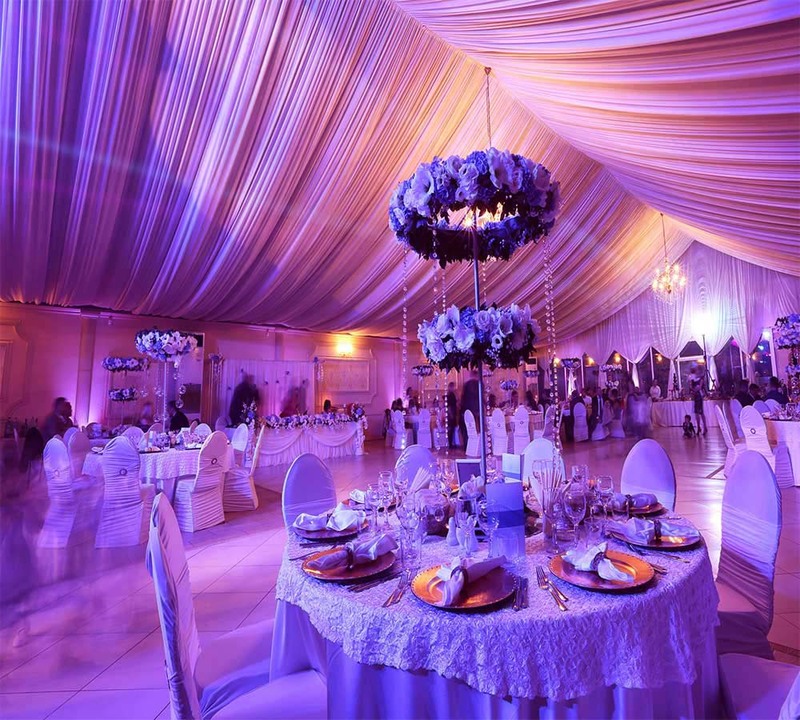 Besides adding plenty of unique style for your wedding party venue, they also help eliminate dim corners or edge tables to help people enjoy and navigate to the room more easily. 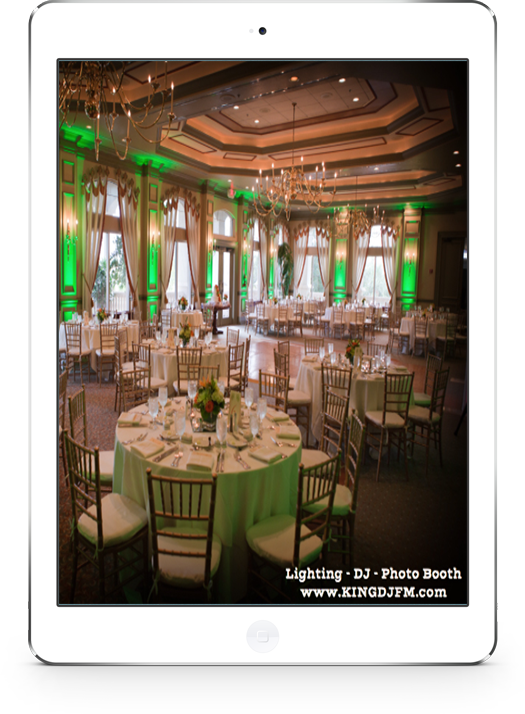 FM Event Productions services offer the latest equipment for quality uplighting design for your wedding reception. We can create the perfect look for any size room or hall. 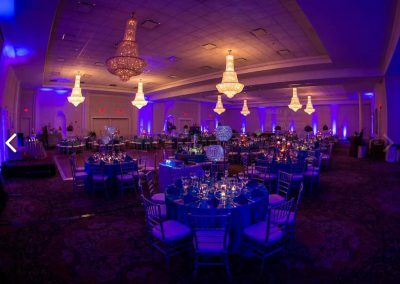 Although many wedding parties choose a warm amber glow that matches candlelight or twinkle lights, we can also offer various shades of blue, pink, red, and purple to create a unique mood for your reception. 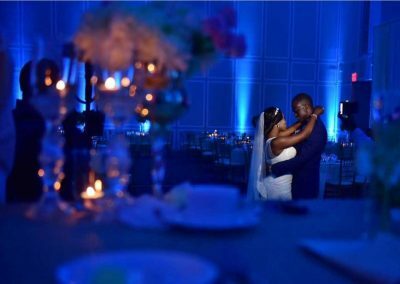 CREATE THE PERFECT ATMOSPHERE WITH UPLIGHTS FOR YOUR WEDDING RECEPTION, EVENT OR PARTY IN DC, MD, VA & BEYOND. 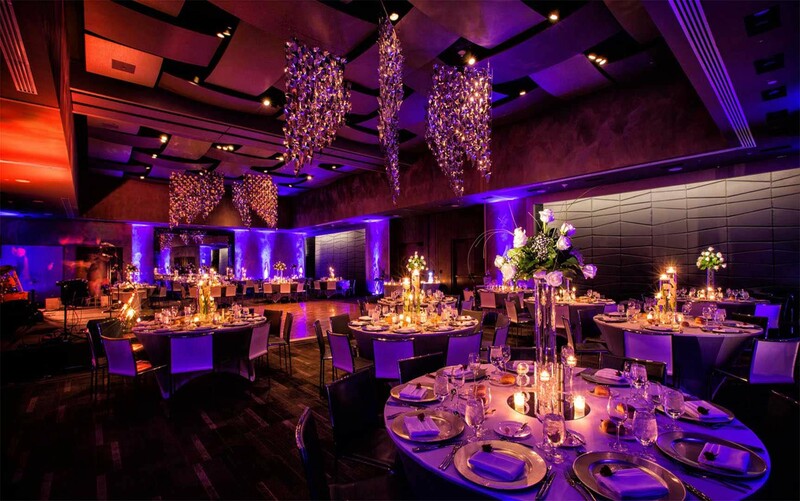 RENT UPLIGHTING TO TRANSFORM ANY ROOM AND ADD AMBIANCE. 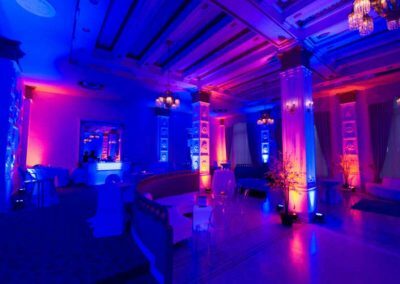 The number of lights required for LED Uplighting can vary based on the number of guests, the size of the room or the effect in-depth from (accent – color-wash) We have lit up a lot of venues, there is a good chance that we have lit up your venue of choice before and we can answer that question for you. There are many companies out there selling inexpensive overseas knockoffs that flickersand can be a fir hazard. 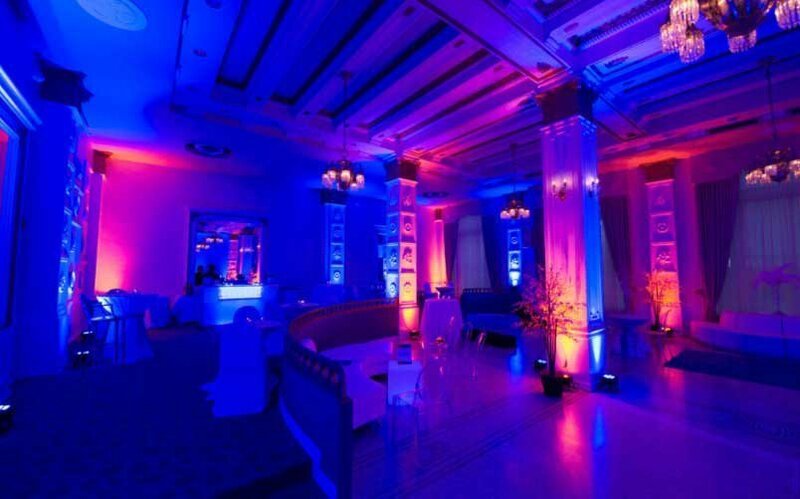 We use industry standard uplights, they are tried, tested and true. You will get a beautiful color and very high output light, giving your walls a nice color wash and a wider area that is covered. 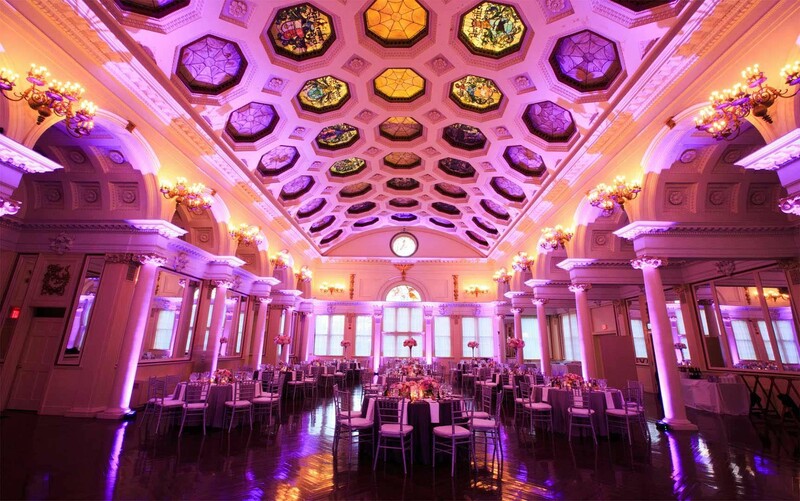 Whether it’s a last minute wedding upgrade or a planned event, FM Event Lighting Productions has one of Washington DC Metro largest Wireless (Battery Powered) UpLight. 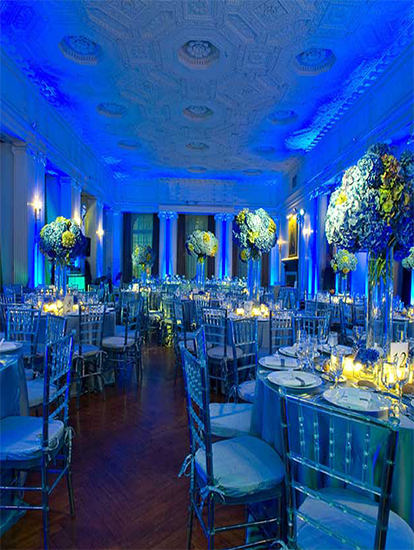 For years FM Event Productions has been the “go to” UpLighting Design Mastermind behind a vast majority of Washington DC’s most exclusive and highly decorated events. 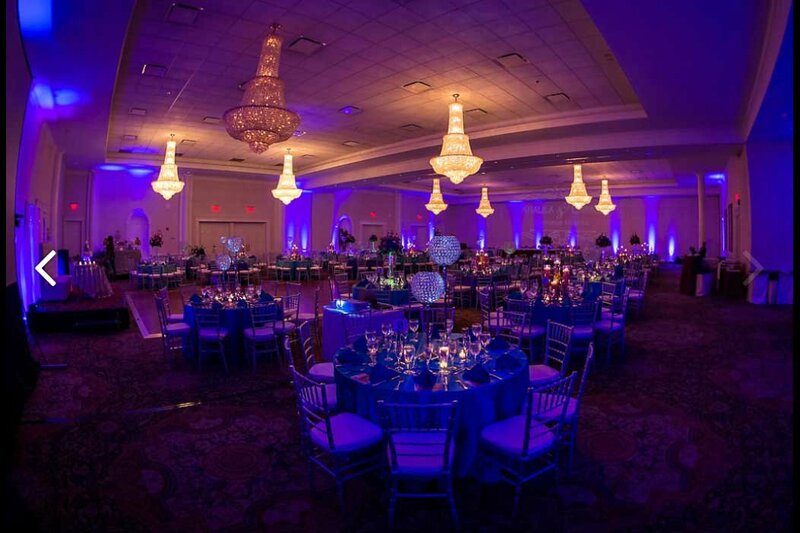 Trusted and sought after by elite Banquet Halls, Hotels, Florists, Event Planners, DJ’s and Affiliate Event Lighting Companies across East Coast not just for our top-notch quality lighting fixtures and creative design vision, but when compared in price to other lighting rental companies, FM event Lighting Productions truly exceeds what most budgets. Contacts us for a quick and hassle-free booking without headaches. 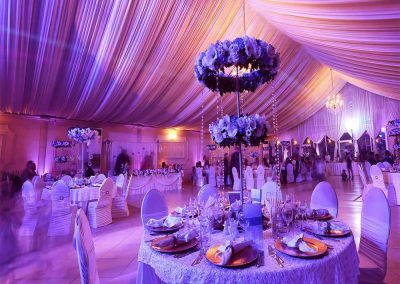 We are here to help you in all area from design to event execution.